Jobsoid allows you to define a set of job-related questions to be asked to the candidates during their job application process. You can create job specific questionnaires and use them when required. There is no limit on the number of questionnaires you create on Jobsoid. Create a questionnaire on Jobsoid by following the below-mentioned steps. 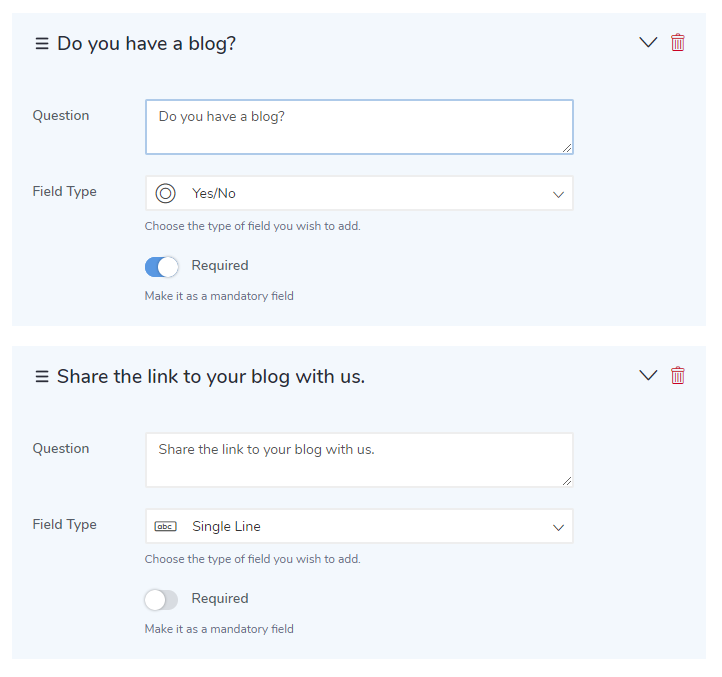 All the questionnaires that you create will be displayed as a list on the Questionnaires page. Click on Edit icon. This will take you to Edit Questionnaire page. To add a new question, click on (+) Add Question. Save the questionnaire by clicking on Save button. To delete the questionnaire, click on the Delete icon.